Save up to 30% on Club Med early bird offers and experience an all-inclusive package where everything will be organised for you. 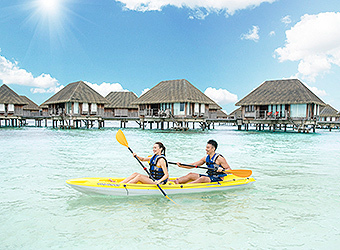 Here are four great Club Med deals to choose from with savings of up to $1,050*. 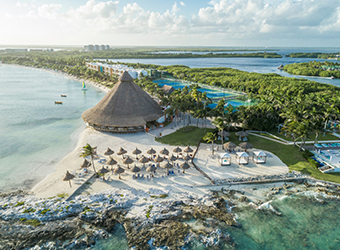 If you’d like a warmer holiday, head to the heart of the Indian Ocean at Club Med Kani, Maldives, or recharge at Club Med Cancun Yucatan, near the Maya temples. 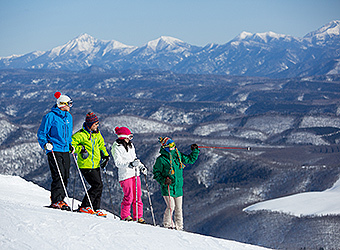 If you prefer a ski holiday, visit Japan to enjoy the world-famous powder snow at Club Med Tomamu Hokkaido or Club Med Sahoro Hokkaido. Call or email your personal travel manager to plan your next Club Med holiday. 8 days | 7 nights from $1,615* per adult. Early bird offer - save $401*per adult. Offer expires 25 Jun 2019. 8 days | 7 nights from $2,060*per adult. Early bird offer - save $880*per adult. Offer expires 25 Jun 2019. 8 days | 7 nights from $2,375*per adult. Early bird offer - save $985*per adult. Offer expires 25 Jun 2019. 8 days | 7 nights from $2,450* per adult. 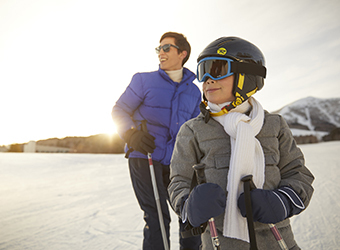 Early bird offer - save up to $1,050*per adult. Offer expires 25 Jun 2019.